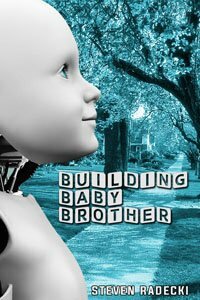 I’m pleased to announce that I have finally completed the third re-write of my short story “Building Baby Brother”. I’m calling it “draft 2.0”, because I never liked the second version of it. Much of that is, I suspect, procrastination on my part. I needed to put some pretty heavy baggage aside in order to resolve a few of the character and plot issues. I think I finally managed to accomplish that to both my satisfaction and to those who have read it in the past. On to the next one . . .